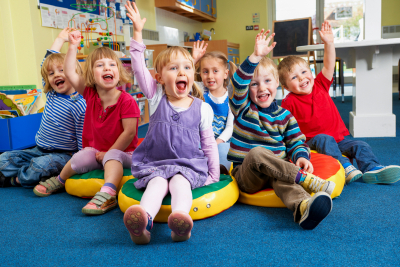 Kindergarten | Childcare in NC | Academy of Spoiled Kids, Inc. In this program, we develop your child’s ability to regulate their own actions. We let them practice simple rules at school to encourage good behavior. Mathematics, language, and science are now introduced fully in simple and fun exercises. We foster their capacity to describe objects, count, recognize and follow patterns, and read and write by themselves. Outdoor activities become part of their regular routine, and they also spend time getting to know each other. To prepare them for the transition to full-time, “grown-up” learning, we enhance their capacity to think abstractly and respond to the environment. We teach them to perform simple mathematical problems to teach them to reason out through analysis. We let them measure things, identify and make shapes, and use logic to puzzle out questions. Their reading and writing skills will also be developed. All of these things are meant to nurture their ability to put things to memory and apply their knowledge.